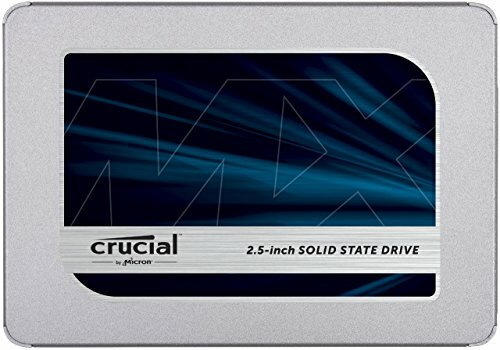 CRUCIAL MX500 1TB SSD Review – Technologically speaking, the SATA SSD market has been pretty stagnant over the last couple of years. NAND flash shortages in 2017 have also somewhat bottlenecked the industry. The rise of PCI Express based NVMe drives with their performance advantages means that older SATA based drives typically don’t grab the headlines anymore. SATA drives still make up the largest part of the SSD market though, and competition remains fierce. Now that the supply situation is improving, the conditions are ripe for a market shake up and Crucial has fired the first shot of 2018 in the form of the aggressively priced MX500 SSD. Even at launch the MX500 is one of the cheapest 1TB drives on the market. That alone makes it a solid recommendation, though the MX500 is far from being a one trick pony. The parent company of Crucial is Micron, one of the leading flash producers in the world. It manufactures the all-new 64-Layer TLC NAND flash memory found inside the MX500. These new memory chips are physically smaller and perform better than previous generation Micron NAND. This directly leads to cheaper street prices and better performance. The bestselling Samsung 850 EVO finally has some worthy competition. Somewhat surprisingly, Silicon Motion’s 2258 controller provides the brains of the drive. It’s an older controller indicating that performance improvements over the previous generation come from the NAND itself, along with firmware upgrades. So, the 1TB MX500 is fantastic value, but it needs to do more than that to make it a top choice. The best PC components offer high end performance and features with budget pricing, and that’s what the MX500 does. The drive comes with an impressive list of features and specifications. There’s a 7mm to 9.5 mm spacer adapter, 256-bit AES hardware-based encryption support, power loss immunity and a welcome five year warranty. The warranty and encryption features are matched by its direct Samsung 850 EVO competitor, though the MX500 comes with a far superior endurance rating. The 1TB model allows for a pretty spectacular 360 Terabytes Written. This compares to just 150 TBW for the 1TB Samsung 850 EVO. To put this into perspective, 360 TBW would equate to almost 200GB per day for five years. Needless to say, the MX500 should cope with many years of heavy duty operation. Crucial offers some welcome software tools (which need to be downloaded from the Crucial website). There’s the expected monitoring and secure erase tools along with an over-provisioning application. Over-provisioning more of the drive for background operations can prolong the life of the drive and increase performance by offering improved garbage collection and reserving more space for replacing failed blocks. Crucial also offers the highly regarded Acronis True Image HD software for drive cloning operations. Performance wise, the drive is able to max out the SATA interface in sequential testing. CrystalDisKMark testing shows the MX500 hitting just over 560MB/s read and 510 MB/s write speeds. These figures closely match the Crucial specification. Random reads and writes with small files and in/out operations are the truest performance differentiator however, and it is these figures that really impress. Read performance in particular proved to be class leading, while writes were also strong, but not exceptional. 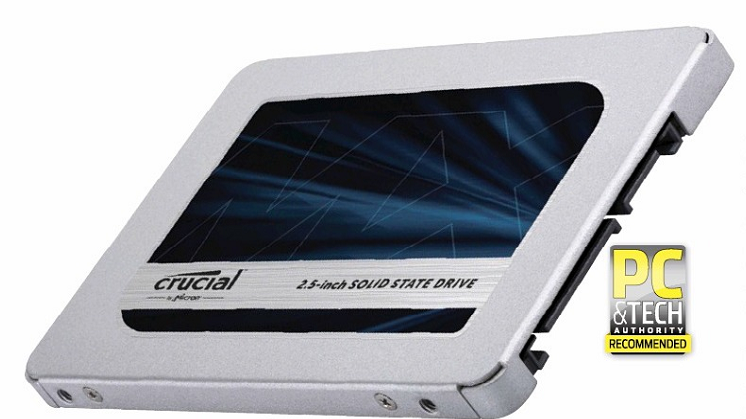 Crucial has given the SATA SSD market a welcome kick in the pants. The MX500 is our new SATA 1Tb drive of choice. The sweet spot combination of features, value, warranty and performance deserves top marks. There are few better performing SATA SSDs and none that offer the value the MX500 does. Many makers of 1TB drives will be forced to cut prices to compete. Of course, if you are chasing ultimate performance, then NVMe drives remain the only real choice. NVMe variants should really allow the Micron 64-layer 3D NAND to shine, but Crucial is yet to reveal such a drive. 2018 promises to be an exciting year in the SSD space.